Shower your recipient with a bounty of fresh fruit! 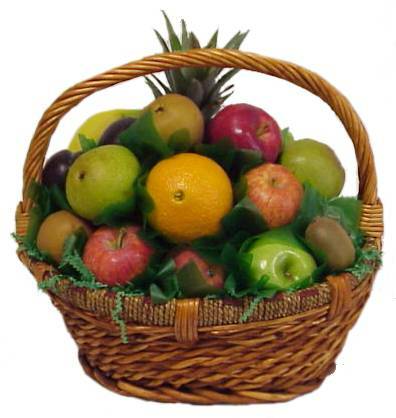 We collected the tastiest fruit of the season--pears, apples, oranges, grapefruit, pineapple and seasonal fruit packed beautifully in this charming basket. A great, healthy choice for one or some!